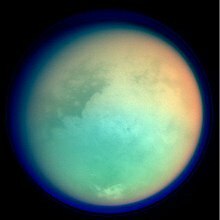 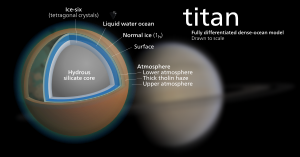 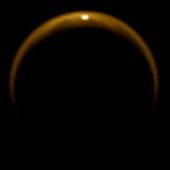 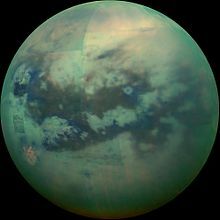 ↑ Faint sunlight enough to drive weather, clouds on Saturn’s moon Titan Between the large distance from the Sun and the thick atmosphere, Titan's surface receives about 0.1 percent of the solar energy that Earth does. 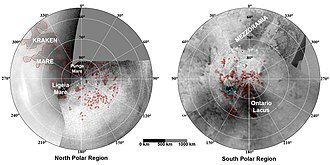 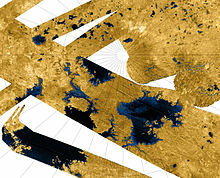 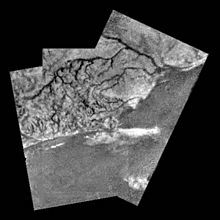 ↑ Lucas et al., (2014), Insights into Titan's geology and hydrology based on enhanced image processing of Cassini RADAR data, Journal of Geophys. 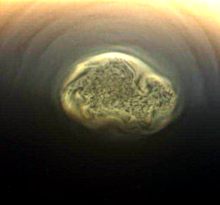 Research, doi:10.1002/2013JE004584. 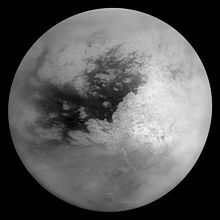 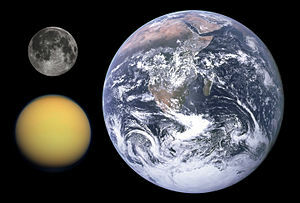 AstronomyCast: Titan Fraser Cain and Pamela L. Gay, 2010.